Over the following week of March 17-23rd the GSA’s respective candidates will be campaigning for a position in the 2014/15 executive committee. 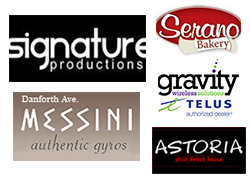 In turn, the week of Monday March 24th to Friday March 28th will host the annual GSA elections, which will include baked goods, fresh gyro, and roasted lamb amongst many others. 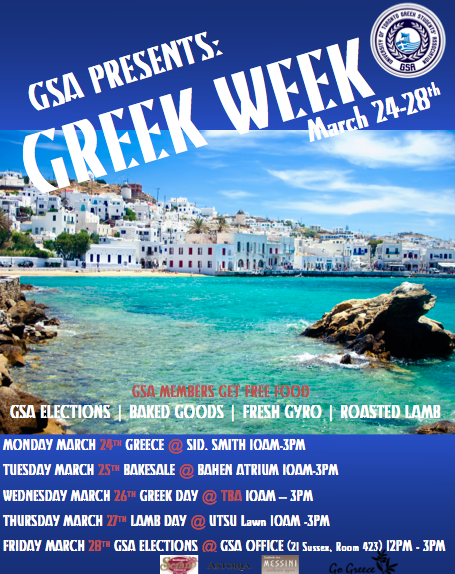 Come and enjoy our Greek goods and vote! President is the official spokesperson of the organization and provides direction for all components of the organization in a manner consistent with the organization’s constitution and policies. The president is required to have been an executive member for a minimum of one year in order to run for this position. My name is Vikki Bekiaris and I am currently a third year Concurrent Teacher’s Education Program student for Physical and Health Education and French. In this election, I have decided to run for President. I have dedicated my entire university career as an active member on the GSA. My commitment began in first year where I was solely an active member. My interest in the GSA grew quickly and I served as the Director of Athletics and Vice-President of Student Life subsequently. Being in a wide range of leadership roles from the time I began secondary school to where I currently stand, I believe I have the positive attitude, organizational prowess, hard work ethic, commitment and diplomacy needed to fulfill such a position. Specific to the GSA, I have worked very closely with the past President and Secretary as well as the current Secretary, Treasurer, Vice-President Internal and Vice-President External. It is essential to have worked and been mentored by these individuals and my appreciation for their hard work and their roles is crucial for understanding the importance of being an accommodating, encouraging and compassionate President. I have also formed close relations within our governing body, UTSU, as well as networked with many of the faculty, college and student groups that are present at the University of Toronto. In addition, I have heavily networked with many individuals within our Greek community who are willing to help the GSA and encourage any of its endeavors. I consistently advocate the importance of uniting students of Hellenic decent through social networking and organized events. I believe I would make and excellent candidate for this position and an enlightening representative for the GSA. This being said, if I am awarded this amazing opportunity I intend to make all aspects of next year idyllic for all of our members and supporters. Hi GSA-ers, my name is Dora Konomi and I am currently your VP-Public Relations and I am running for the position of President for 2014-2015. I have been involved with the GSA for the last three years, both as a director and as an executive, and I have contributed to major events and milestones that have shaped the GSA such as the NHSA Convention, Academic Nights and organizing social events like the Montreal Trip, and collaborating with GoGreece2014. I have demonstrated excellent leadership and work ethics, and as co-host for Agape Radio and a columnist I have developed great connections and an extensive network that will benefit the GSA. I am social, friendly and efficient. 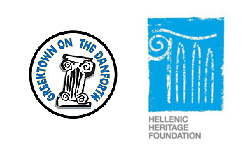 I am committed in uniting Greek youth and HSAs/GSAs throughout Canada and promoting Hellenic culture within and outside the university boundaries. As a President, I intend to establish a scholarship fund for Greek students, develop an extensive network of Greek students across Canada and become a support group for all students of Hellenic descent. Vice-President External acts as a liaison between the organization and other student clubs, societies, organizations, and groups off campus and acts as an advocate and resource for the academic issues of members, ensuring accessible, high quality education. Hello GSA members! I’m Angelica Dimoulias and I’ll be running for the position of Vice-President External for the 2014-2015 academic year.I’m a first year Arts and Science student and I’m currently the Director of Cultural Affairs for the GSA. Throughout this past year I’ve really enjoyed being a small part of the association and I want to continue being involved in it as I’m ready to take on additional responsibilities. I’m running for the position of Vice-President External because I believe this position will allow me to accomplish great things for the association and will give me the opportunity to grow as an individual.I’m a very communicative person and I take everything that is assigned to me very seriously,traits that I think are essential for the position of VP External.I respect the people I associate with and always work as a member of the team. I’m eager to learn,I have different and exciting ideas that will make me work hard to make a difference in the GSA.My goal is to make the following year as enjoyable as possible for every member and your vote would be a great way to help me reach it! Vice-President Internal acts as a liaison between the organization and other student clubs, societies, organizations, and groups on campus and Students is responsible for the betterment of student life and will work in cooperation with the University of Toronto Students’ Union and Ulife departments. I am running for the Vice president internal of the Greek Student Association here at the St. George campus for the upcoming 2014/2015 elections. I have been involved with the Greek student’s association this year as a director of athletics. I have gained much experience from this position, such as organization skills, devoting my time into making full teams for our intramural sports, finding ways to compromise for the GSA and most importantly learned the ropes at U of T. Furthermore, I learned to become a leader and communicate well with others by volunteering at summer camps in previous summers. In the past year I have grown to love our association, as it has become a part of my everyday routine. I would greatly appreciate all your support during the election. I will work hard and devote my time in order to make student life at u of t exceptional. Finally, I want to continue to promote our wonderful culture and have the privilege of being part of such a great organization. My name is Ellie Minchopoulos, and I am a second year Criminology and Sociology Major. I believe that I would an excellent fit for this position for a number of reasons. Firstly, all throughout high school I was actively engaged in Student Government, which culminated in me serving as Vice-President and President in grades 11 and 12 respectively. In this role I acted as an internal liaison between clubs, as well as an external liaison in all other matters. As a person I can offer my friendly, dedicated, and team-player personality, which would in turn aid me in making a positive contribution to the GSA. Along with personal qualities, I would also be able to have posters/flyers/t-shirts designed and printed by my father who is a graphic designer. Vice-President Student Life oversees events organized by the group for the benefit of members and the campus community. My name is Vasili Katsuras, I’m a third year student at U of T completing my undergraduate degree in Criminology and Classical Civ. Ideally, as stated in the constitution, the VP student life should: “oversee events for the benefit of the members and campus community”. With respect to my event coordinating skills, as well as interpersonal demeanour, I believe that I would make the perfect candidate for this position. Thank you for your time and consideration. Vice-President Public Relations is responsible for all media and marketing of the association and finding new outreach and promotional initiatives. I think I would make a good candidate for VP of Public Relations because I already have some familiarity with the GSA and how things run. I also believe that I would be able to adequately promote our associate through social media, and attract a new generation of students and kids to our events in my postings on Facebook, Twitter and Instagram. I am also looking forward to bring a new spin to my position, if elected, as well as promote some new ideas. I wish to run for the position of Vice President of Public Relations. I’ve worked closely with the current vice president, which has given me a clear understanding of the job and responsibilities. I have an adept understanding of social media and am interested in the social aspect of any group or business. 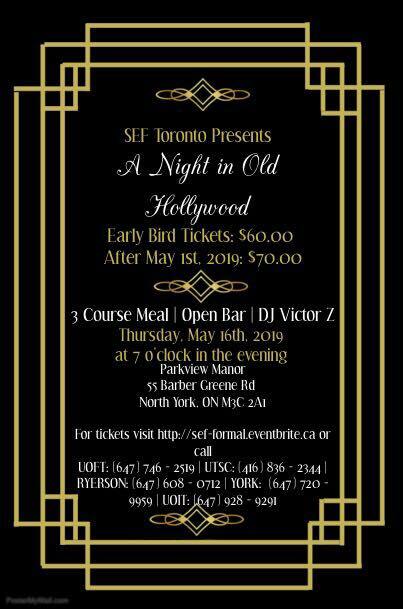 I’m very interested in marketing as well, having personal experience marketing my high school’s yearbook for which i was an editor, the various theatre productions I was in, and participating in provincial competitions such as DECA. I look forward to getting more involved with the Greek Students Association and am sure that being the VP of Public Relations would be a constructive but enjoyable experience. Treasurer oversees the association’s finances and is in charge of developing and enhancing a sustainable fiscal budget. He/She shall keep receipts and complete financial records for all financial transactions of the Association. My name is Michael Kanopoulos and I would like to nominate myself for Treasurer of the Greek Students’ Association for the academic year of 2014-2015. I believe I am an eligible candidate for Treasurer for several reasons. The first of which being my commitment to the GSA as First Year Representative and holding the position of Director of Social Affairs for two consecutive years. If I am elected, I plan on creating a fiscal budget, overseeing every aspect of the Association’s finances and maintaining the GSA’s stellar reputation within the Students Union. This position is crucially important as reaching and maintaining a balanced budget are essential to the operation of the Association. It is also imperative to ensure a budget surplus, allowing the continual growth of the GSA and its membership in the years to come. My past experience, knowledge and participation in student politics accompanied by my devotion and commitment to the GSA provide an opportunity for me to contribute enormously to this Association. I need your vote! Secretary General is responsible for informing and assisting the President in the current business of the association, keeping all official documents of the association, and keeping the minutes at all general assemblies of the Association and meetings of the executive. He/She will also maintain the office. I would like to run for the position of Secretary for the 2014-2015 GSA school year. Association events on campus and outside of it. My first year at the University of Toronto I held the position of First Year Representative. I was by far one of the most active directors the GSA has seen, and this experience led to my shadowing of the time-being Secretary Nicole Gretes. In shadowing, I realized that this position had been calling my name since day 1. During the 2013-2014 year I held the position of Secretary for the GSA. This past year has been a learning experience, but through my learning I believe I am capable of doing an even better job next year if given the opportunity. As secretary, I maintained all meeting minutes, sent out all-important information to our 2013-2014 members, and assisted our president Kosta Katsanevas in any way I was capable. While balancing an A average, two jobs and a social life, I was still capable of being both an efficient secretary and an active, enthusiastic executive. Next year I aspire to continue this chain. I believe that by virtue of my experience this year, by running for Secretary I place myself in a better position than most other candidates. All candidates may campaign for their nominated executive position for seven calendar days. Campaigning will be the week of Monday March 17 to Monday March 23. The GSA 2014-2015 council voting period will take place between Monday March 24 and Friday March 28. Campaigning will not be exercised through any of the Association’s social media outlets and maybe exercised solely through any personal social media outlet. It shall not undermine or be disrespectful to the Association or the other candidates. Physical campaign posters shall not be posted in or on the building that hosts the current Association’s office. There will be no acts of bribery or treason surrounding the election process. Failure to comply with these guidelines will result to immediate disqualification to the discretion of the election committee. Elections shall be conducted by anonymous ballot, and overseen by the Election Committee. The Election Committee shall be provided with an updated membership list by the executive committee and will verify the identity of each member via student identification. Ballots shall be counted in a private environment by the election committee. Successful candidates will be determined by accrual of the most number of votes tallied from amongst the general membership.